Like Pop-Tarts, I have a whole new appreciation for breakfast cereal. Everyone in our household works full time and even though I try my best to be all Susie-homemaker (keeping up with the laundry, cooking all our meals at home, buying groceries, and cleaning), I also like to maintain my sanity. I pride myself on making a home-cooked dinner each night, but waking up early and making a Pleasantville-style breakfast spread before work? Also, The First Wives Club is a highly underrated movie! Once opened, the bag inside smells...like normal Lucky Charms. It's that light, oat-y, cereal aroma with a sugary chaser. If you really get in there you can detect a light cinnamon aroma that is similar to Cinnamon Toast Crunch, but it's very faint. This has to be the least cinnamon-y cinnamon cereal I've ever had. 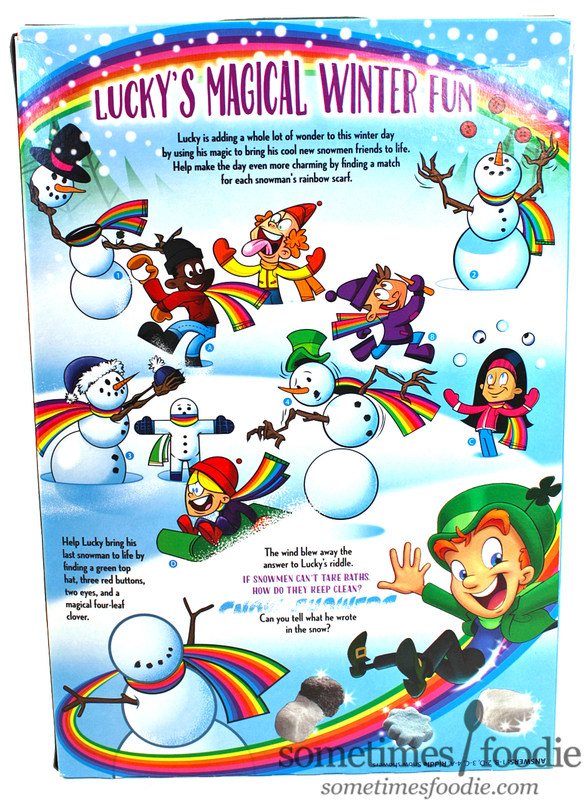 This tastes just as delicious as normal Lucky Charms, but that is now what this box promised. This box said it was a limited edition Cinnamon-infused release, and there is very little to no cinnamon to be found. It's as yummy as normal Lucky Charms, so it's far from an inedible flop, but it certainly isn't special or worthy of a limited release. I think they were trying to cover their butts by calling this "Cinnamon Vanilla." It's basically corporate-food-talk for "really weak cinnamon." That being said, my boyfriend's daughter really likes it, and was excited to try it, but I think she would have been just as happy if I had brought a normal box of Lucky Charms home. 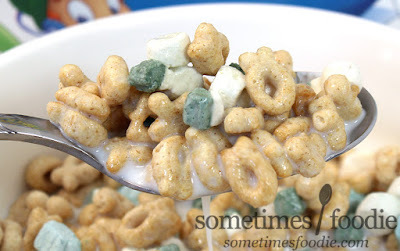 This is not a new, interesting, or unique cereal. 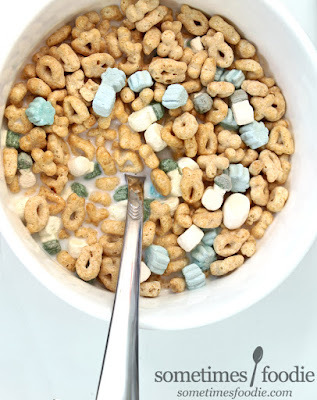 It's like eating a bowl of Cinnamon Toast Crunch and drinking all the milk, then deciding to reuse the bowl for round-two of breakfast but switching things up with Lucky Charms. There is some cinnamon in there, but for a cinnamon-lover like me? It's weak sauce. Plus, it's something you can easily re-create at home. Just sprinkle some cinnamon on your normal Lucky Charms and, BOOM. There you go. 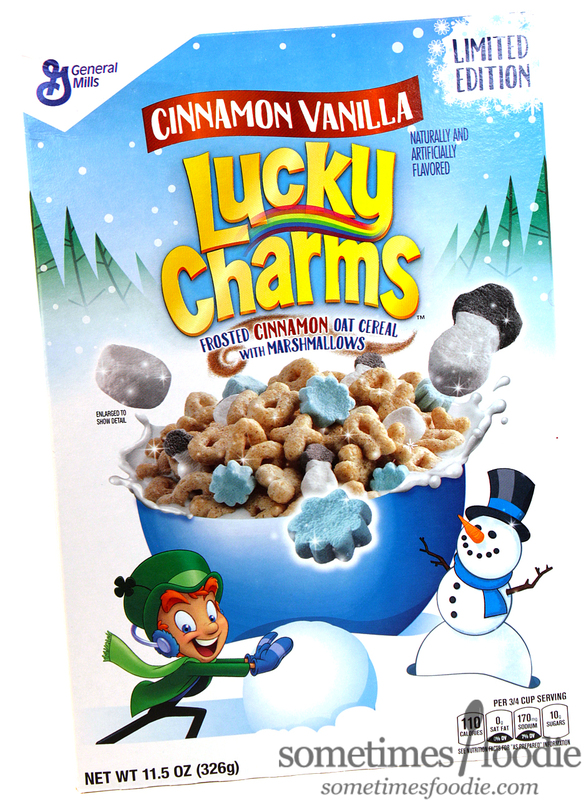 If you like Lucky Charms, and hate change, but want to feel like you're being adventurous, this is the cereal for you! Me? I wouldn't bother picking it up again, and even though my family is enjoying it, I think they'd enjoy normal Lucky charms just as much.